It's only November 12. That totally means we can still talk about Halloween, right? 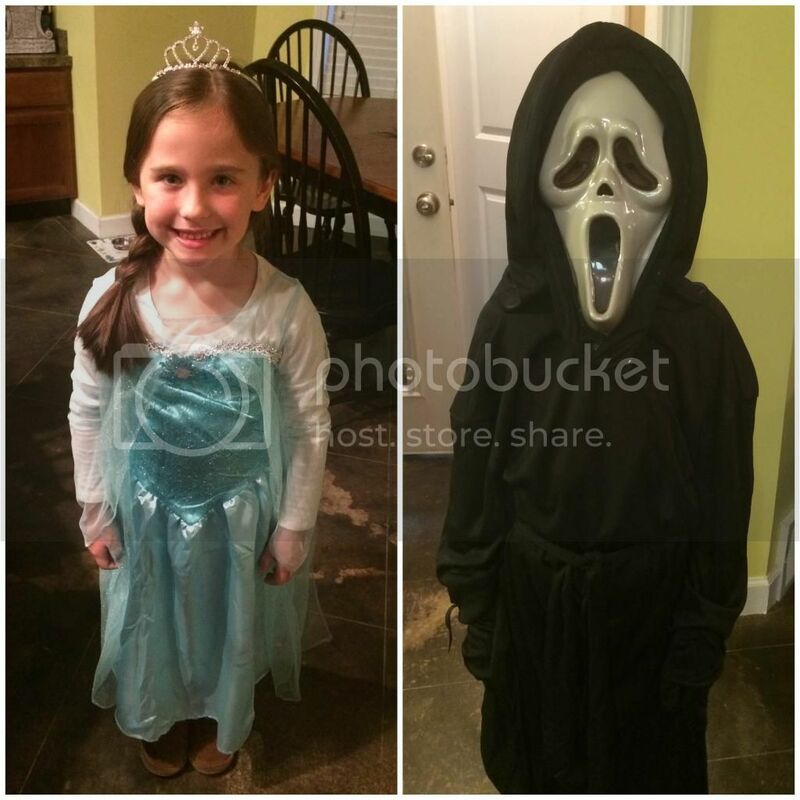 The kiddos were Elsa from Frozen and Ghostface from Scream. 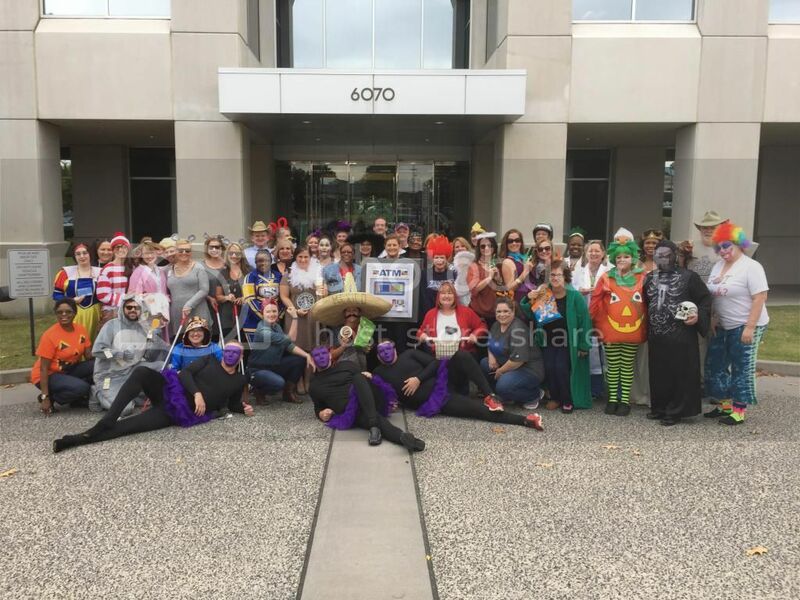 The company I work for has a costume contest every year. 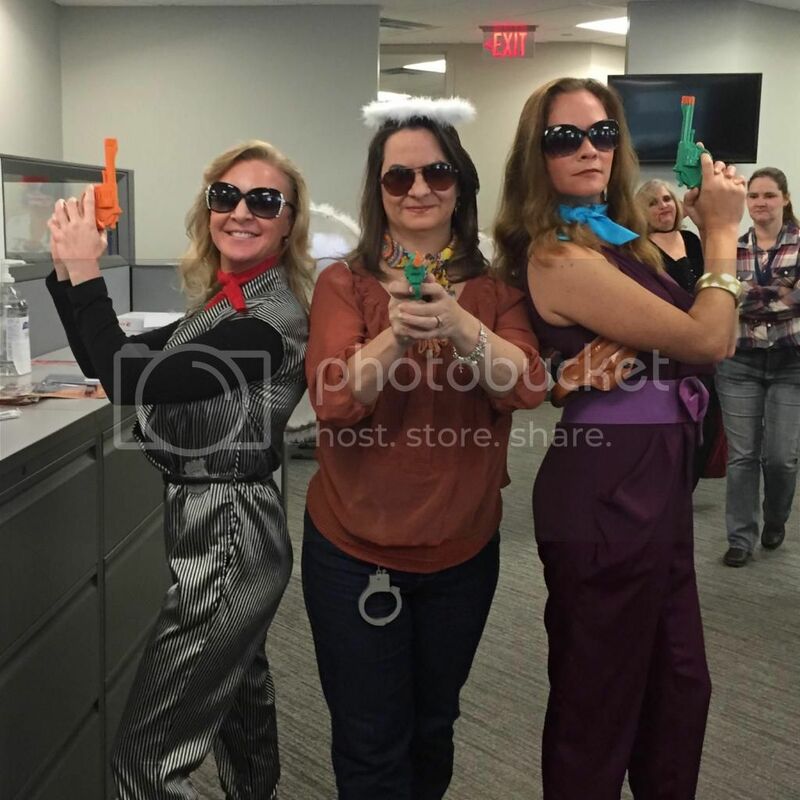 This year, the ladies in my department decided to go with a Charlie's Angels theme. I think we look pretty darn cute if I do say so myself. In recent weeks, our family of four has been insanely busy. Between full-time jobs, cheerleading and football practices, and lots of games, we haven't had much free time. I'm behind on tv shows. I'm behind on laundry, and my house definitely isn't prepped for company. Don't anyone stop by announced. Thankfully, this sports season has come to an end. 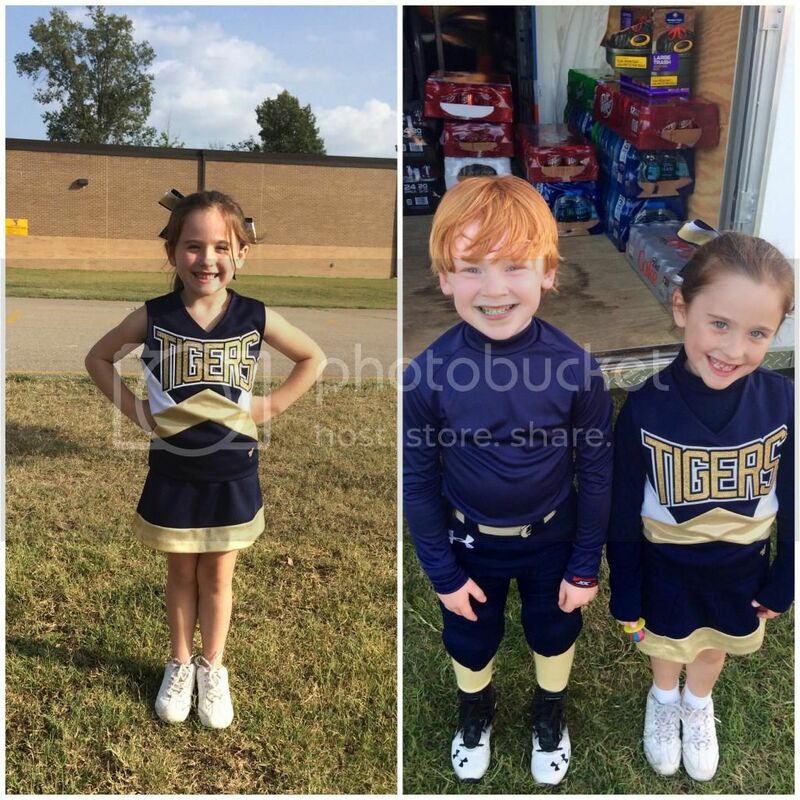 It was Dain's second year of football and Rory's first year of cheer. Both kids had an absolute blast. 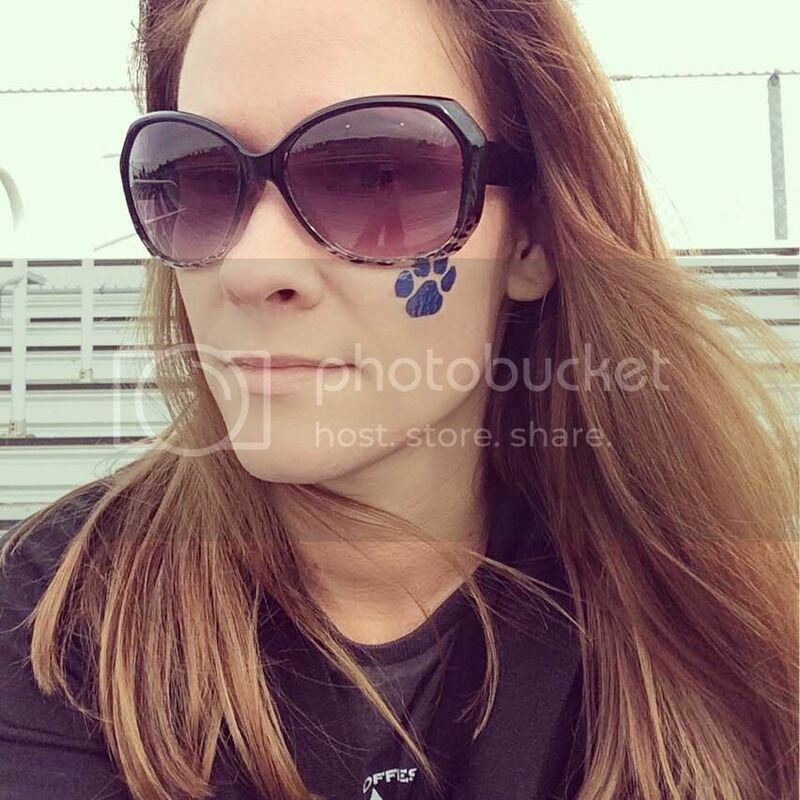 My husband helped coach. 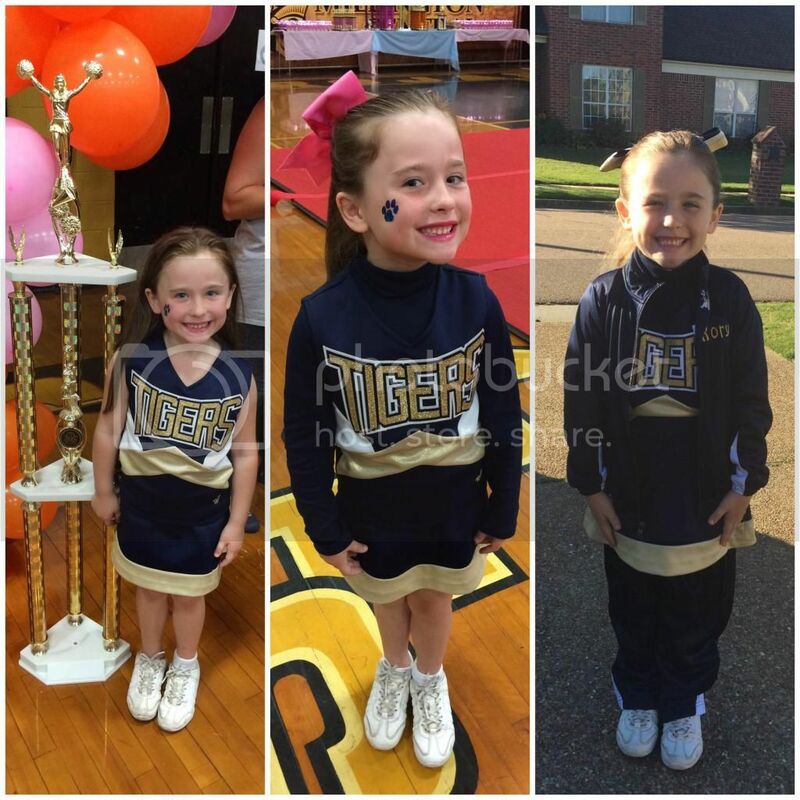 And, next year, I will be heading up the cheer program for our town. I am so excited! 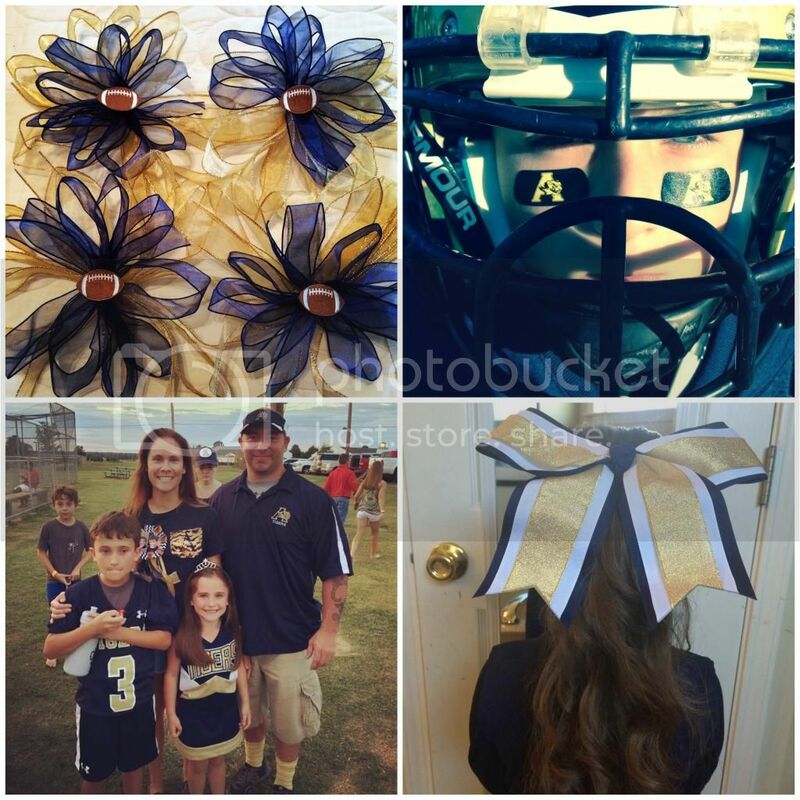 Here are a few pics from this season. I hope we can talk about Halloween, because I totally still have Halloween decorations up in my house. Whoops! November is just so busy this year and I don't have time to do "fall" decor and it's almost time for Christmas already and...yeah. It's just still up. Looks like y'all had a great holiday! Are you still looking for a new job or did you get one? If not, I hope you find the right place soon! My kids are a little younger than yours and I honestly am not ready for them to do activities - I already feel like we're nuts without activities! 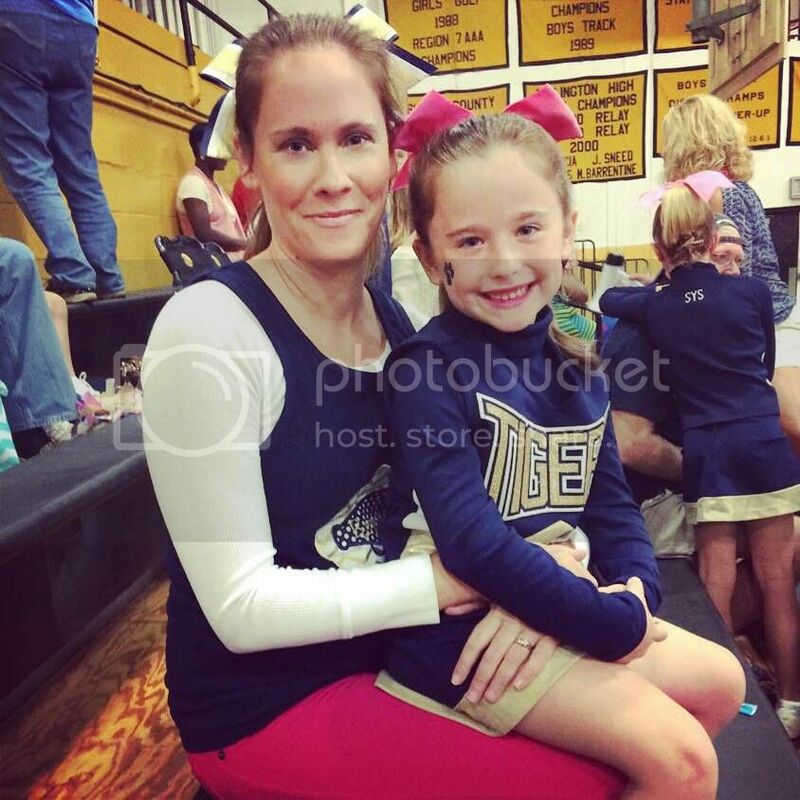 You'll be heading up the cheer program? That's good because it doesn't sound like you're busy enough! Ha! 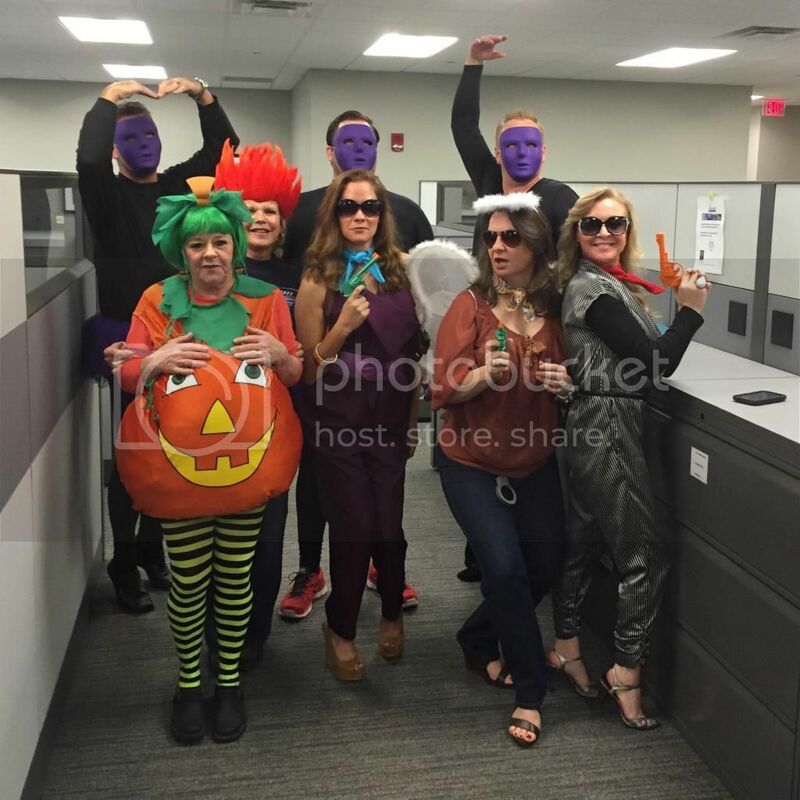 Love the costumes! And I love that your kids are having so much fun in their activities. They look so cute! The kids costumes are awesome! How does Dain know about Scream?! I think you ladies looked great. Those dancing guys were hilarious too! 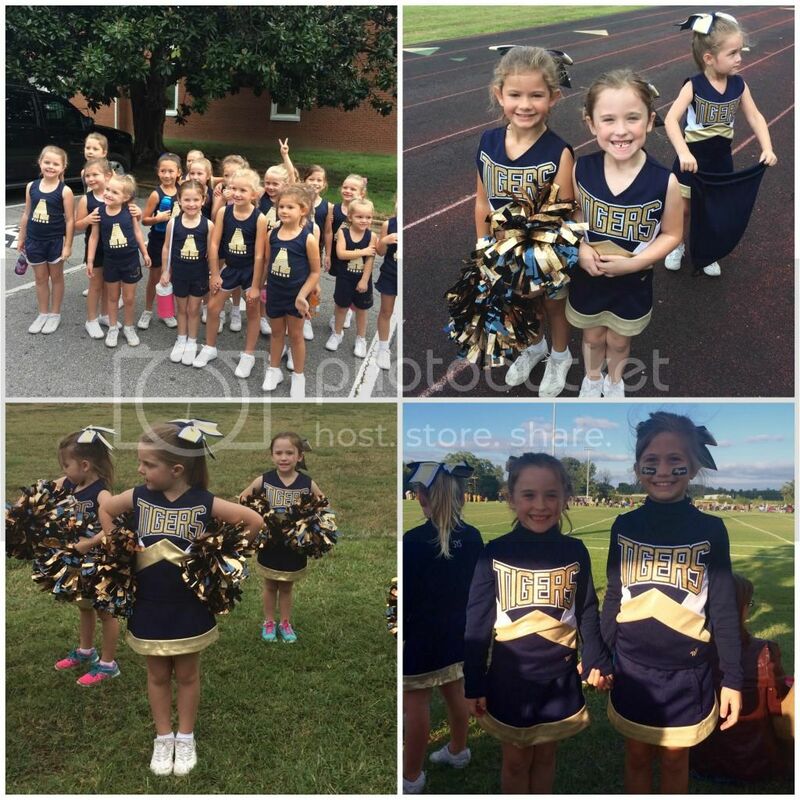 How exciting to head the cheer program! Perfect for you! !